Weighty Matters: Toronto's Peel Region schools schedule lunch at what time now? Toronto's Peel Region schools schedule lunch at what time now? 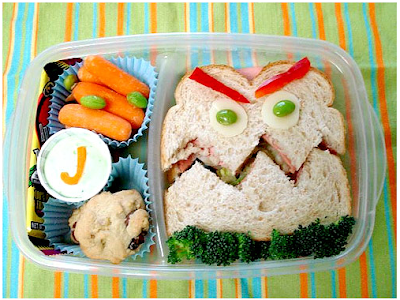 Yup, you read that right, according to an article on Parent Central, some schools in Toronto's Peel region have their kids eating "lunch" at 9:50am. Not just crazy, I'd argue nutritionally irresponsible and were there such a thing, nutritionally criminal. Feed kids "lunch" at 9:50am with the expectation that they might have time to snack somewhere later in the day but with no plan for a real meal until dinner and you'll accomplish a whole bunch of horrible stuff. The kids' attention spans will be shot so their learning will be impaired, they're going to be starving at some point so their dietary choices are going to be impacted and their hunger is going to fuel huge dinner portions and heighten their risk of childhood obesity. Apparently it's because of overcrowding in the lunchroom and instead of buying some portables or allowing lunch to be consumed in classrooms the Peel District School board has decided it'd be preferable to hamstring their students' educations and increase their students' risk of developing childhood obesity. Great plan there Peel. Way to think through a problem.